Updated Monday July 25, 2016 by Brian Boisson. Updated Wednesday May 11, 2016 by Brian Boisson. Hello LYH Family & Friends! 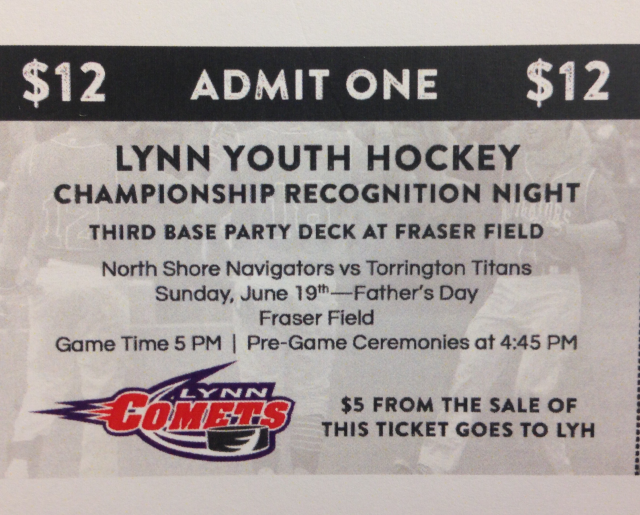 Come celebrate with our Championship Squirt Team at the NS Navigators game!!! ALL dads are throwing out the first pitch and our Champs go on the field with their trophy at 4:45. THANK YOU for supporting Lynn Youth Hockey! !